Michael Joe Jackson was born in August 1958, in Gary, Indianan to Joe and Katherine Jackson. The boy opened his eyes in a home that was always full of music, as his mother taught folk and religious songs to children and her own children sang along them. Jackson’s father worked at a steel plant but he had always dreamt of becoming a musician and he instilled his dream in his children too. Jackson had eight siblings and the brothers formed a musical group that performed at various amateur shows and talent contests. Since he was only five years old, Jackson was a great dancer and his performances made him the center of attention. With time, the fame and popularity of the group spread and while they were performing at the Apollo Theatre in New York in 1968, Motown recording artists discovered them. The group performed with Diana Ross and with her support, they signed a contract with Motown Records and its head, Barry Gordy, took charge of their careers. The group, named “Jackson Five”, topped the charts and reached heights of fame during the 1970s. Hits such as “ABC,” “The Love You Save,” and “I’ll Be There,” sold over one million copies and made the group really famous. The group also performed on TV specials and a special cartoon series; Jackson Five was also created after them. Barry Gordy of Motown Records recognized Michael’s talent and released his solo albums too that did as well as those released by the Jackson Five. However, things were not going too well. Even though the group managed to survive the loss of Michael’s voice, they had a bitter break with Motown Records in 1976 and had fights with each other as well as their father. Michael Jackson also appeared in a 1978 film, “The Wiz”, which was an African-American version of “The Wizard of Oz”. He played the part of a scarecrow and also sang the only hit film of the song with Diana Ross. In 1979, Jackson met producer Quincy Jones who helped him to produce his first album “Off the Wall,” that made Michael a star. Jones and Jackson again got together for “Thriller,” a legendary album that established Jackson as a solo performer. Hits like “Beat It”, “Billie Jean” and “Thriller” made him the “king of pop” in the early years of 1980s. The album sold more than 40 million copies and to date remains one of the best-selling albums of the all time. Along with making Michael famous, this album also helped break the color barrier that did not allow the African-Americans to produce albums and sing freely. Jackson became the single most popular entertainer of America in 1983. His next two albums, “Bad” and “Dangerous,” were released in 1987 and 1991 respectively, but were not as big hits as “Thriller”. However, Jackson managed to stay in the limelight during the 1980s and 1990s. He also established “Heal the World,” an organization to aid children and environment in 1992. In 1993, he was presented the “Living Legend Award” at the Grammy Awards ceremony and the “Humanitarian of the Year” trophy at the Soul Train awards for his charity work. In spite of all his good work and popularity, his reputation was rocked by a major scandal when a thirteen year old boy accused Jackson of sexual abuse in 1993. The case was settled out of court and Jackson consistently claimed his innocence. However, this scandal lost him a Pepsi endorsement and a film deal, too. As a result, his public image was severely damaged. In 1995, Jackson again came under criticism when he released his new album, “HIStory: Past, Present, and Future, Book I”. One of the songs, “They Don’t Care About Us,” allegedly had anti-Semitic lyrics that caused an uproar. Jackson had to change the lyrics in order to avoid any further problems and he also sent a letter of apology to the Rabbi who had protested on the lyrics. The world was shocked when Jackson married Lisa Marie Presley, daugther of Elvis Presley, in 1994 but the couple divorced early in August 1996. In November 1996, Jackson announced that his long-time friend, Debbie Rowe, was going to have his baby. His first child, Prince Michael Jackson, Jr., was born in 1997 and his daughter, Paris Michael Katherine Jackson, was born in 1998, but Rowe too divorced Jackson in 1999. Along with his brothers, Michael Jackson got elected to the Rock and Roll Hall of Fame in 1997 in Ohio. Later in the year, his new album, “Blood on the Dance Floor: HIStory in the Mix” was released that contained newer versions of his old songs along with new songs. It was well liked by critics and public and Michael Jackson continued to rule the hearts of his fans. In 2000, Jackson was re-elected to the Rock and Roll Hall of Fame as a solo performer and he also released his album “Invincible” in 2001. It also topped the charts in 13 countries and sold approximately 13 million copies worldwide. In 2001, he delivered a lecture at the Oxford University, promoting his “Heal the Kids” charity, when he described his difficult childhood and proposed a “Bill of Rights” for children. Michael Jackson received a total of 26 American Music Awards for his great singing talent that is a record in itself. Even though there was news that he was working on his albums, yet no new albums were released and the labels only released the remix versions of his old hits. In March 2009, Jackson held a press conference in London where he announced a series of comeback concerts. The shows, titled “That Is It”, were to be Jackson’s first series of concerts since he ended his “HIStory World Tour” in 1997. During that press conference, Jackson also hinted on a possible retirement and called this series of shows as the “final curtain call”. 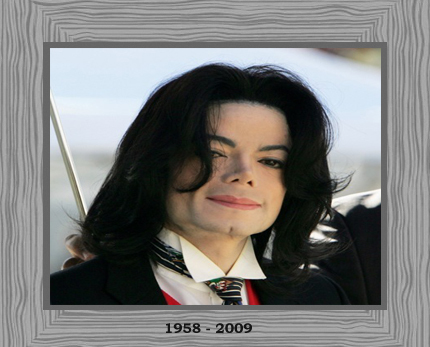 However, things did not go as planned and Jackson died in June 2009 in Los Angeles. He was taken to the hospital and provided medical aid but all went in vain. Often referred to as the “King of Pop”, or by his initials, “MJ”, Jackson is the most successful entertainer of all time as recognized by Guinness World Records. His contribution to music, dance, and fashion made him a global figure for over four decades and one of the most popular men in history, with his album “Thriller” being the biggest musical hit of the history.